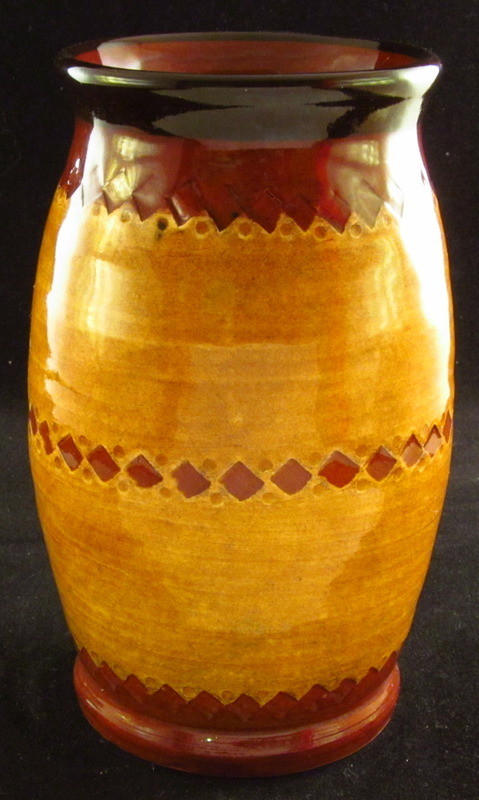 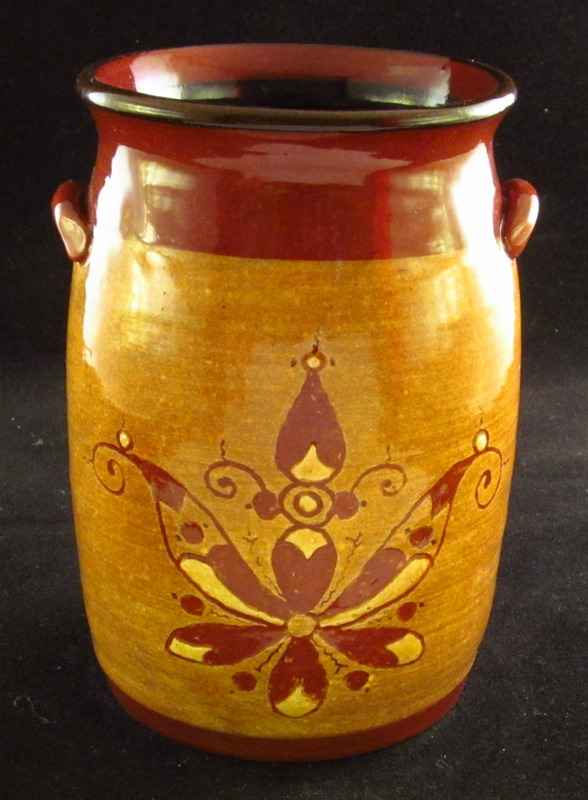 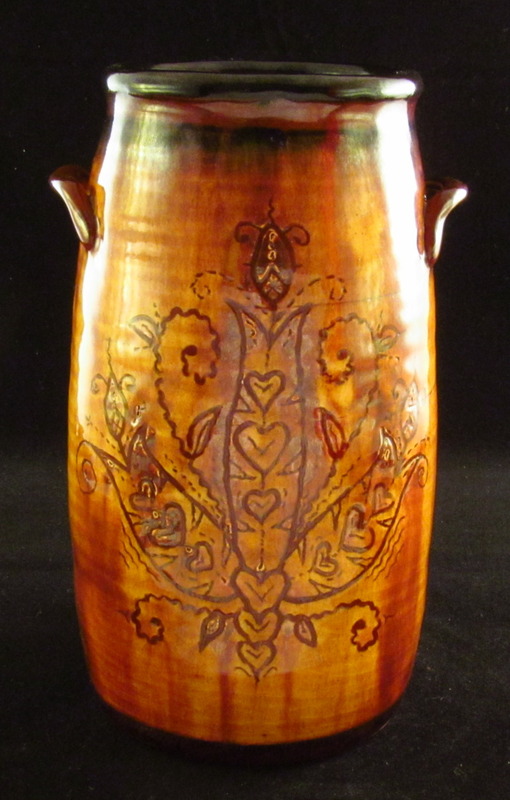 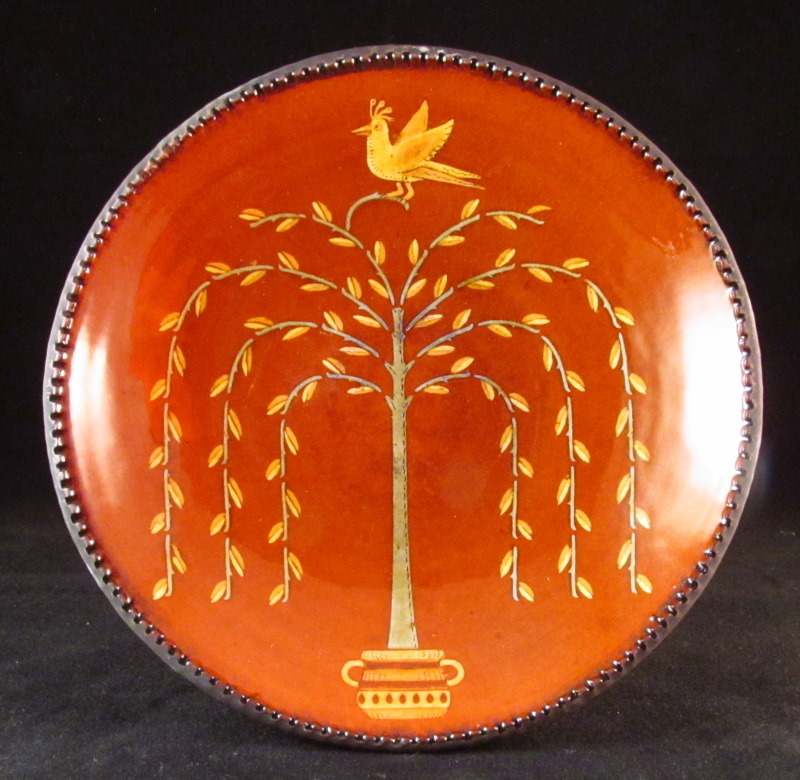 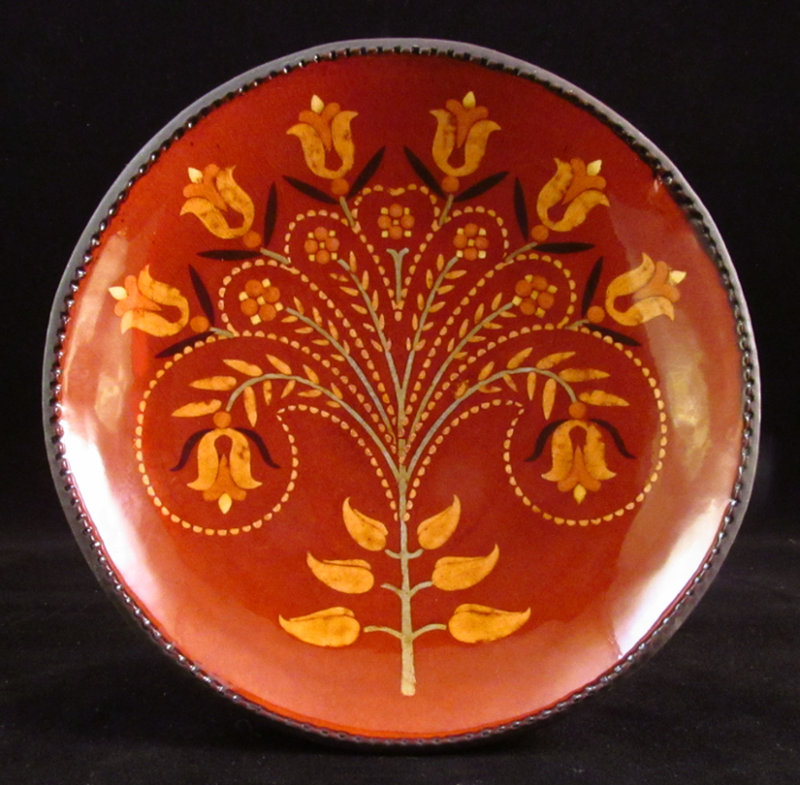 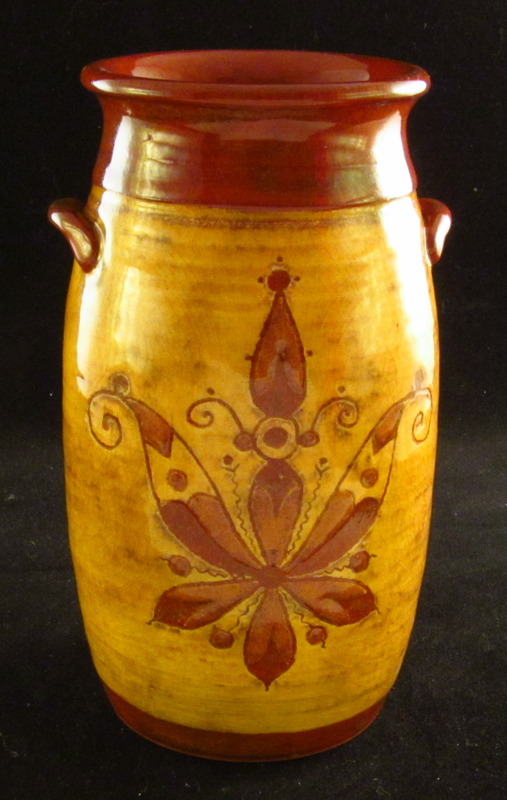 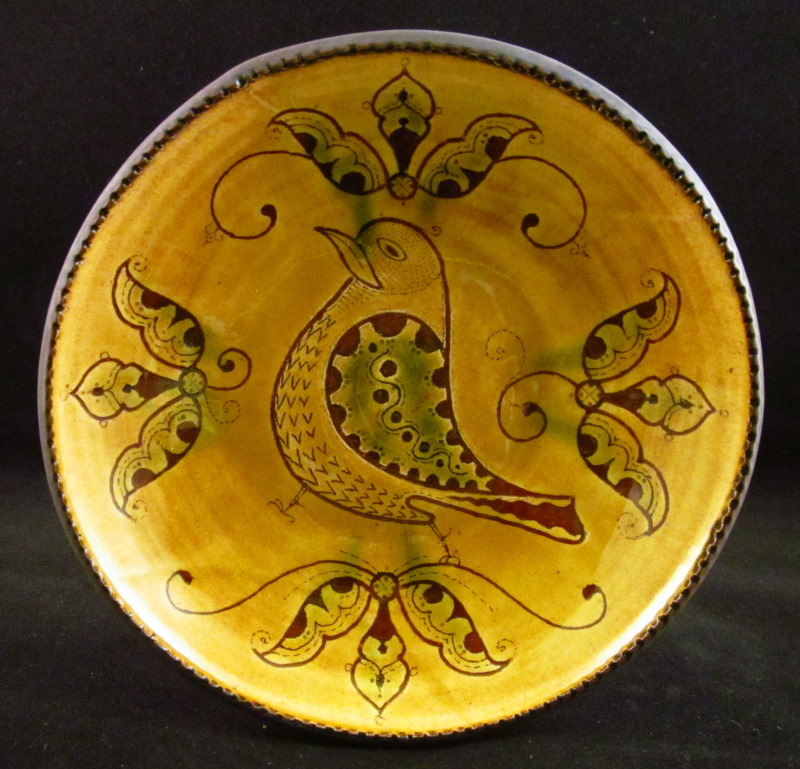 Davis Salks lives and creates his pottery in rural Berks County near Hamburg, PA. His designs are inspired by the antique pottery of this region and by the artistry found in Pennsylvania German Fraktur. 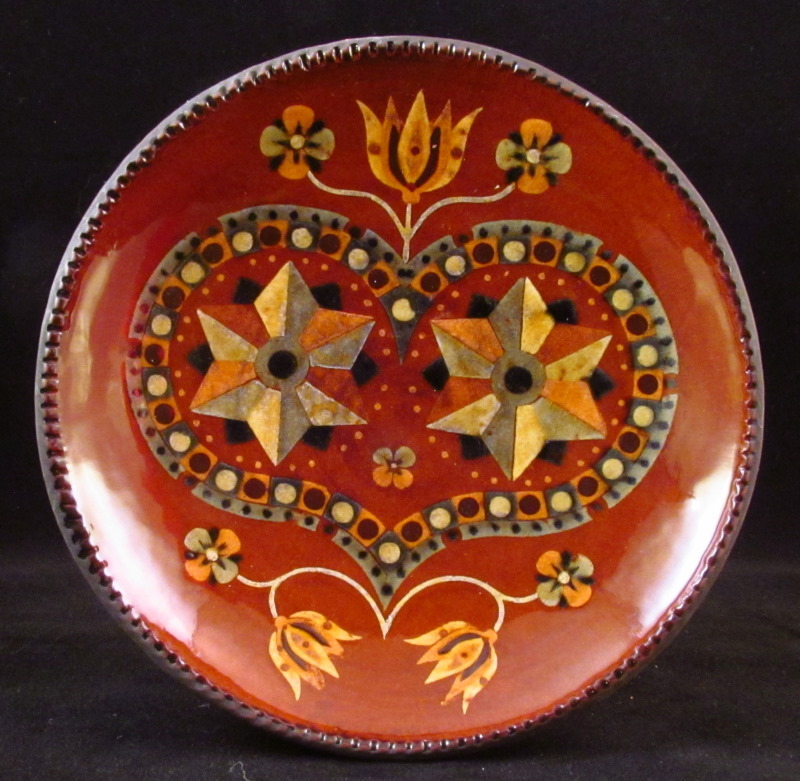 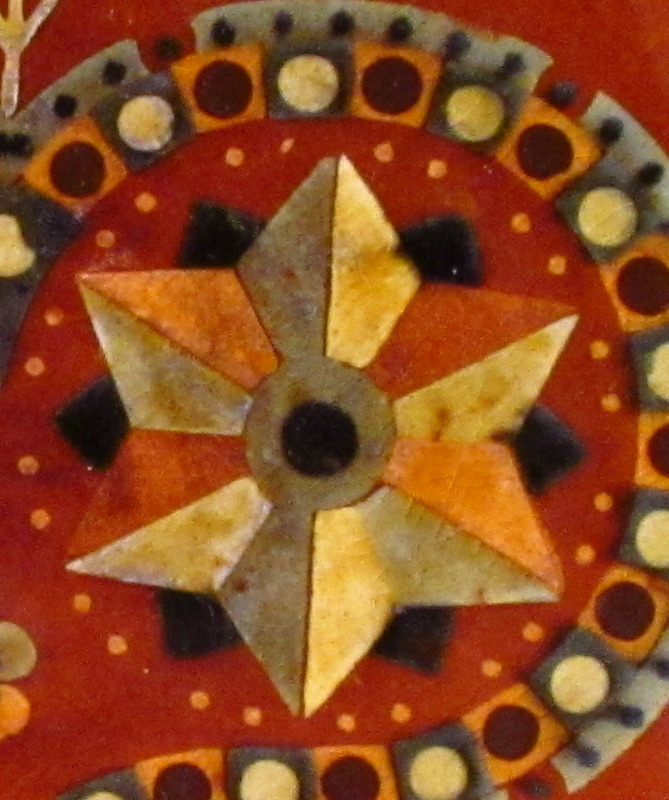 Each piece is lovingly formed in earthen clay by hand on the potter’s wheel. 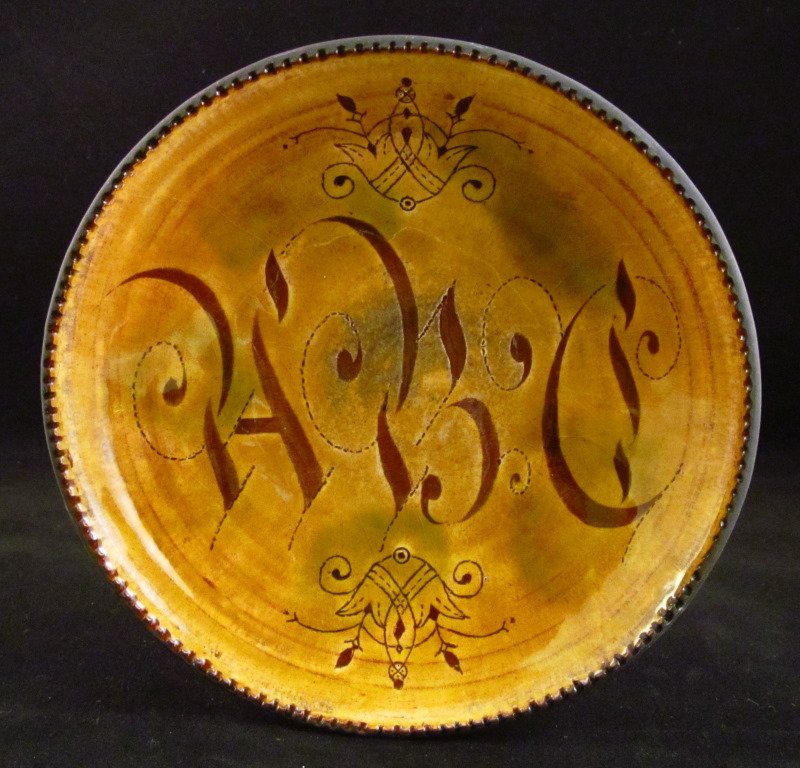 In the manner of ancient potters, the glazes and slips are carefully formulated and mixed from his own secret recipes using mineral components and clays. 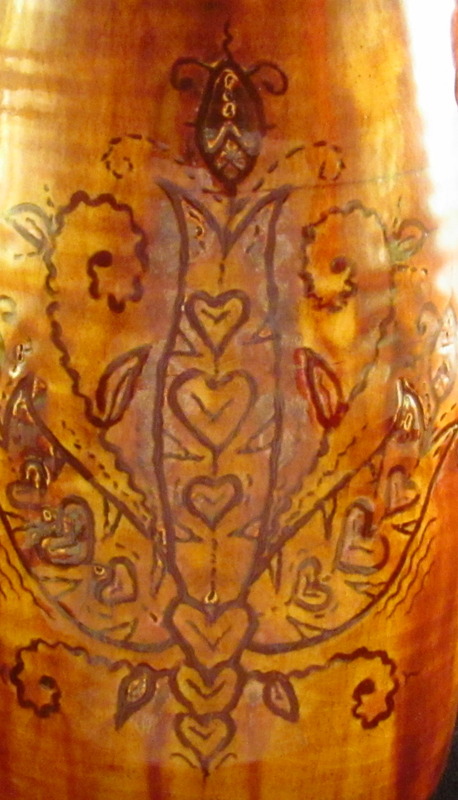 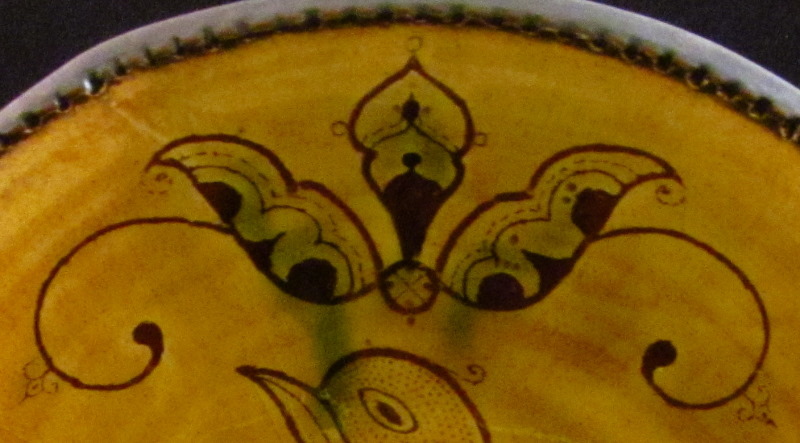 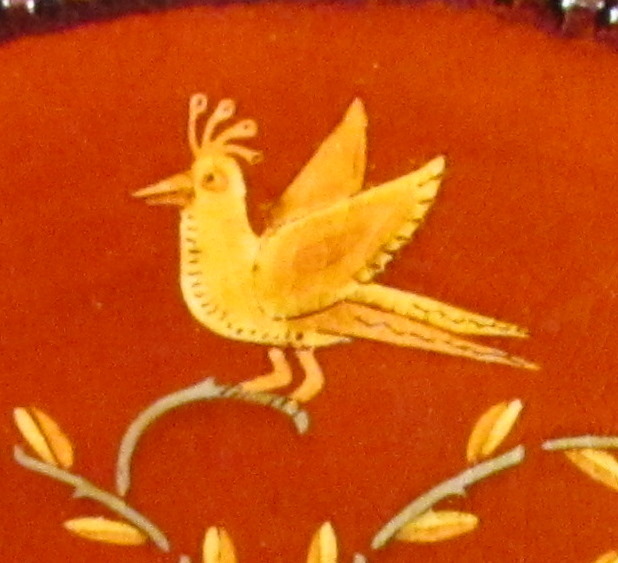 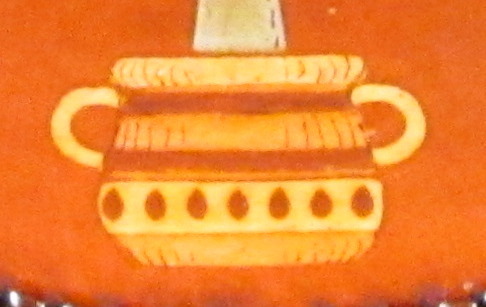 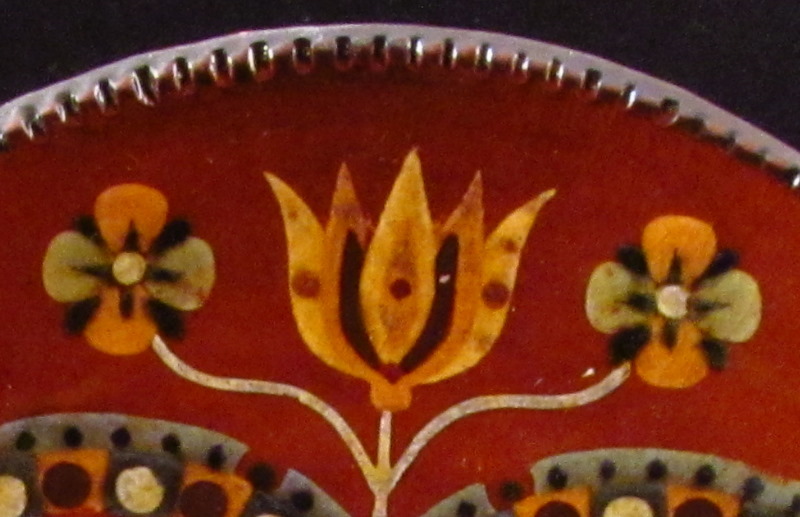 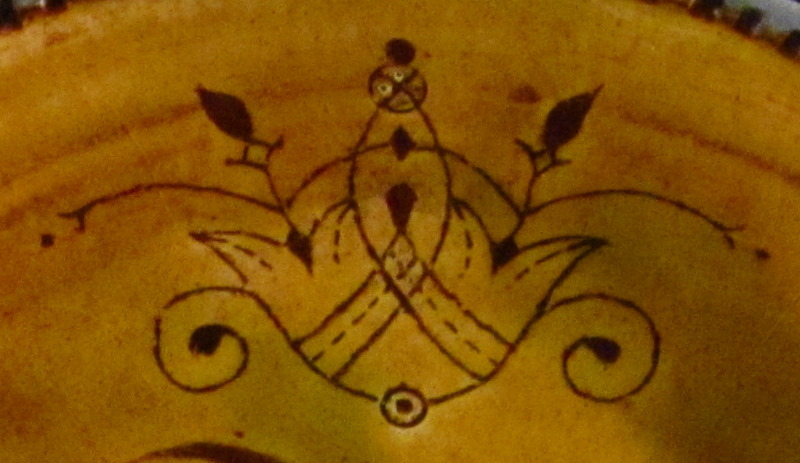 This redware pottery dish features a bird design with four tulips decorated using the sgraffito method.